Saying that memory loss is normal when it comes to aging is somewhat like carrying around a loaded gun without the safety on. Many people in the early stages of Alzheimer’s disease (AD) are misdiagnosed due to this common misperception. Although, it’s true that the memory does falter as we age, to a certain extent, there is a major difference between normal aging memory loss, and that of a person in the beginning stages of AD. Namely, normal aging memory loss involves forgetting memories that can later be retrieved. In AD, the memories are lost permanently—with no chance of recall at a later point in time. Normal aging of the brain affects memory by slowing down the processing speed. According to a recent Harvard News report, “In terms of brain function, everyone has a decline over time in all areas, with the exception of vocabulary,” says Dr. Joel Salinas, a neurologist specializing in behavioral neurology and Neuropsychiatry at Harvard-affiliated Massachusetts General Hospital. Several areas of the brain are involved in memory. Initially the cerebral cortex takes in new information from our senses, next the amygdala “tags” the information as noteworthy to be stored, and finally, the hippocampus (an area initially affected by AD) stores the memories. The frontal lobes of the brain are involved in the job of retrieving information in the form of memories. There are basically 3 memory processes that occur in the brain. These 3 processes work to encode, record, and retrieve information in the form of memories. So, initially the brain encodes or takes in new information, next, it stores it, and finally the brain accesses the stored information and retrieves the memories when called upon. There are many factors that can adversely affect a person’s memory (in addition to memory loss from Alzheimer’s disease). These include, sleep deprivation, depression, anxiety, and side effects of many types of medication. If you, or a person you know has memory problems, it’s important to see a physician. The factors that should be addressed include, screening for AD and other conditions such as, anxiety and depression, medication checks (to evaluate whether drug side effects are part of the problem) and a sleep pattern evaluation. Write down information that is important to help jog the memory. Form associations with new information to something that is familiar—that you already know. For example, when trying to remember a new person’s name, search your memory to recall other people you know well with the same name, and then try to form an association that stands out, such as: they both have dark hair, or they are both left handed. Put the information into a storyline if possible, “Our brain is good at sequences, and putting things into a story helps. The more ridiculous, the more memorable it is. For example, if your list is milk, eggs, and bread, the story could be that you are having milk with Elvis over an egg sandwich,” Dr. Salinas suggests. Separate large amounts of information into segments. For example, when trying to memorize a long number or lines for a play or a speech, focus on memorizing one sentence or one number sequence at a time. “It’s hard to store a long number,” says Dr. Salinas, “but easier to store little bits through working memory.” If you’re trying to memorize a speech for a wedding toast, focus on getting only one sentence or idea down at a time, not the whole speech in one take,”Salinas adds. 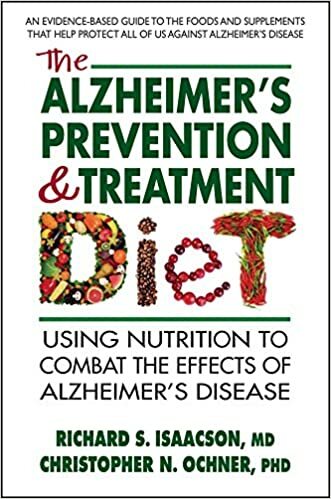 Learn more about memory loss and Alzheimer’s Prevention by CLICKING HERE to view the new groundbreaking book, Alzheimer’s Treatment, Alzheimer’s Prevention Diet book, by Dr. Richard Isaacson, M.D., Harvard trained neurologist. You may not know it, but preventing blood clots may be one important aspect of Alzheimer’s prevention. A deep vein thrombosis (DVT) is a blood clot that forms in a vein deep in the body (usually in the legs, but sometimes in the upper body). A pulmonary embolism (PE) is a sudden blockage in the artery of the lung, usually due to a blood clot that travels from a deep leg vein to the lungs. It’s common knowledge that cardiovascular disease increases the risk for Alzheimer’s disease (AD). But, heart attacks and strokes are associated with blood clots in the arteries (not in the veins). So, how is a DVT associated with high risk for AD? Read on to find out. Aromatherapy has been used for centuries in traditional medicine to help promote health and wellness, and protect from disease. But, what exactly is aromatherapy? How can this age-old method of treatment help promote brain health and potentially stave off Alzhiemer’s disease? Aromatherapy is essentially the result of inhaled elixirs from concentrated forms of plants and botanicals. One of the most common forms of essential oils is Lavender oil, noted for its relaxation promotion properties. These therapeutic essential oils can be used in a diffuser to send minute particles of the oils into the air for inhalation, others are used directly on the skin, and some can even be ingested. But, do essential oils really promote health and wellness, or is it all a bunch of new age hype? Read on to find out what the scientific/medical experts have to say….. Eating a variety of healthy fruits and vegetables every day is one vital part of the Alzheimer’s diet. Not only do fruits and vegetables provide plenty of antioxidants, thought to aid in staving off symptoms of Alzheimer’s disease (AD), they also provide ample minerals, vitamins and fiber. But, a recent study released by the Centers for Disease Control and Prevention found that Americans fall short when it comes to eating enough of these healthy side dishes. In fact, as many as 76% of adults did not meet the daily recommendations of fruit intake and 87% fell short of the daily vegetable intake recommendations. Children who were surveyed were not an exception to the bad news when it came to adequate intake of fruit and vegetables. The numbers came in at 60% who didn’t meet the recommendations for fruits and a whopping 93% of American children didn’t eat enough vegetables. How many vegetables and fruits should you eat each day; is there a simple way to get more of these healthy foods into the Alzhiemer’s diet? A heart healthy diet, such as the Mediterranean Diet is highly recommended for Alzheimer’s prevention. Maintaining a healthy blood pressure and overall cardiac health are vital aspects of Alzheimer’s prevention; so keeping your sodium intake within recommended levels is important. It’s common scientific knowledge today that what’s good for the heart is good for the brain. So, it stands to reason that a heart healthy diet is recommended for Alzheimer’s prevention. But what about added table salt? Most doctors and dieticians would recommend a low sodium diet for optimal heart health due to salt’s propensity to wreak havoc with the cardiovascular system. In fact, too much sodium consumption can increase blood pressure and cause the body to hold onto fluid. This extra fluid can cause swelling in the extremities as well as more complicated health problems, such as congestive heart failure. High blood pressure (hypertension) is a major risk factor for heart attack, stroke and other cardiovascular problems. Turmeric (curcumin, or curcuma longa) is an Indian spice that is thought to help promote Alzheimer’s prevention. It was discovered when scientists realized that the incidence of Alzheimer’s disease (AD) is much lower in India than it is in Western cultures. In fact, several studies found that the prevalence of AD in India was as 4.4 times lower in adults (aged 70 to 79) than in the United States. So, researchers began to look at the diet people in India were eating. They found that people who ate curry (with curcumin as the primary spice) more often performed better on standard memory tests and cognitive functioning tests than those who did not have curry in their diet regularly.